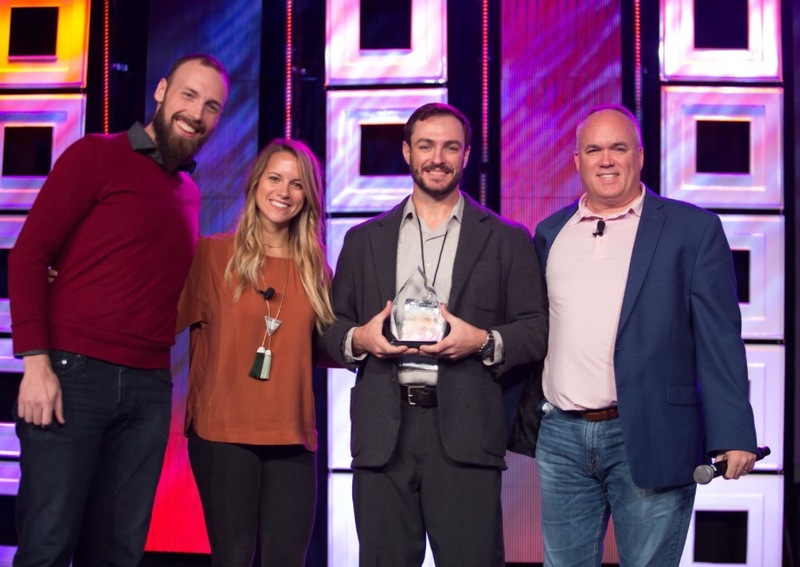 All across our company, Cox Media Group employees are continually making innovation a major part of their work — looking for new and exciting ways to extend and improve our Super Brands or to create new ones altogether. 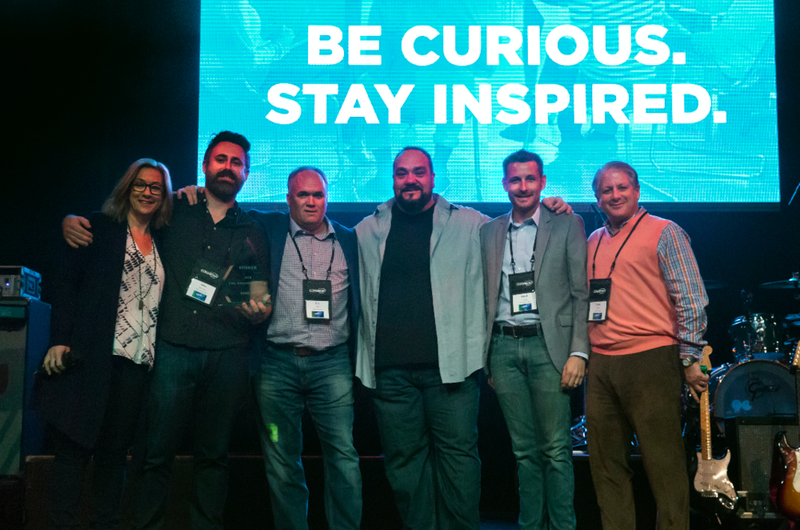 Each year at the annual CMG Leadership conference in Orlando all of that wonderful work is recognized and we're excited to announce the second annual winner for the 2017 CMG Innovator of the Year as James Gregg from the Austin American-Statesman. You can see this year's and the 2016 winners both below. 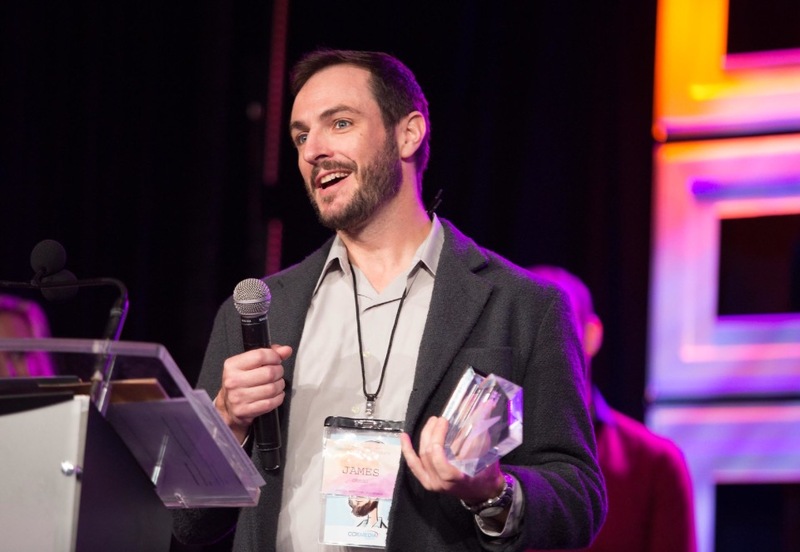 The 2017 CMG Innovation Award was presented Wednesday, April 29th to James Gregg from the Austin American-Statesman for his brilliant use of 360 video to tell the story of America’s first mass shooting at the University of Texas Tower. Through experimental efforts, James created an immersive virtual reality tour that allowed readers to not only see but interact with the events that occurred. 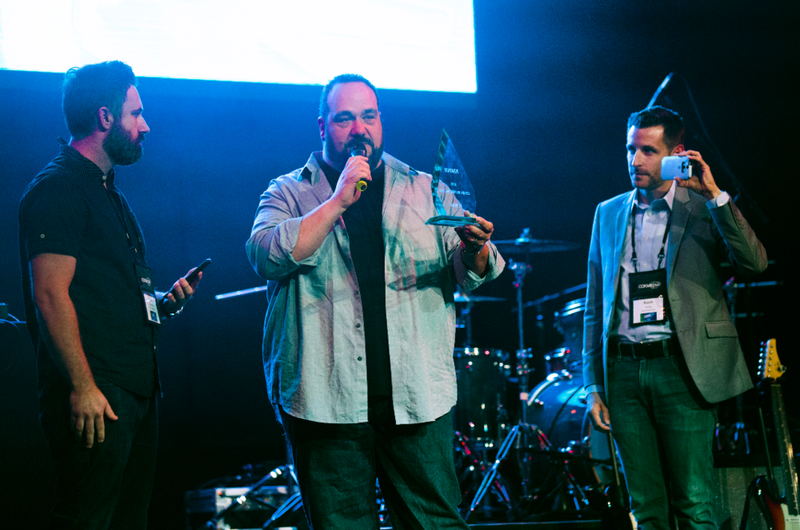 The other finalists this year were David Epstein of Long Island Radio for creativity, energy and industry leading innovation in the execution of live events and the KIRO 7 Alexa Team, for being trailblazers in the use of Amazon Alexa to distribute the news. See the full videos for the three finalists below! 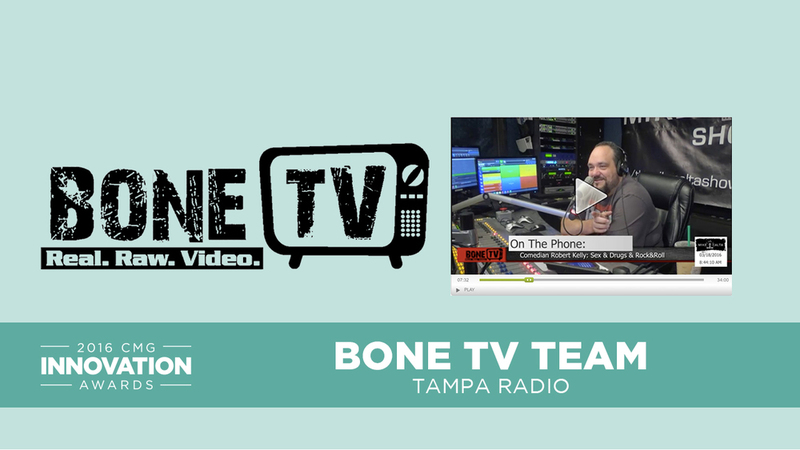 We are delighted to announce the 2016 CMG Innovation Award was presented Tuesday, April 5th to the BONE TV team from Tampa Radio: John Brennan, Mike Calta, Rusch Young and Joey DeSanto. The BONE TV team demonstrated ingenuity, entrepreneurship, and relentless execution in building a live video brand for a radio station. Over the course of 2 years, the team completely redesigned a studio to support a full video broadcast. That included special lighting, cameras, a control room buildout, and much more. In 2015, WHPT was responsible for 20% of the video views in all of CMG radio nationwide. The BONE TV was one of dozens of nominations from across the company. It, like the other finalists, proved that we need not be bound by the traditional definition of our medium. The other finalists were Kimberly Miller of the Palm Beach Post for her outstanding, multi-faceted weather coverage; and KIRO-TV for launching killer “over the top” apps to combat the phenomenon of cord-cutting in Seattle. Congrats to all our finalists, particularly BONE TV/Tampa radio.